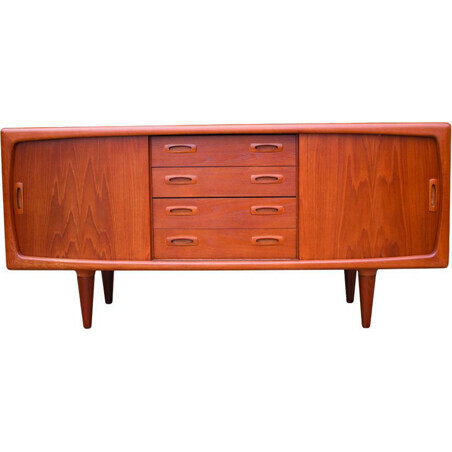 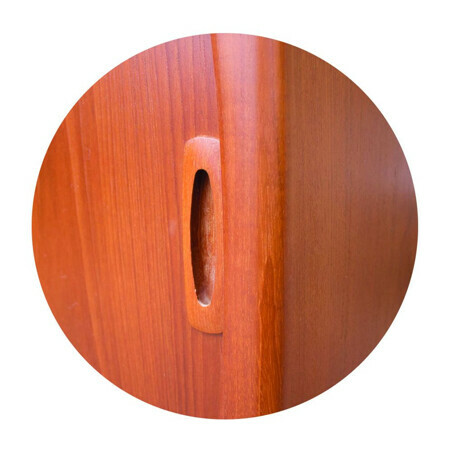 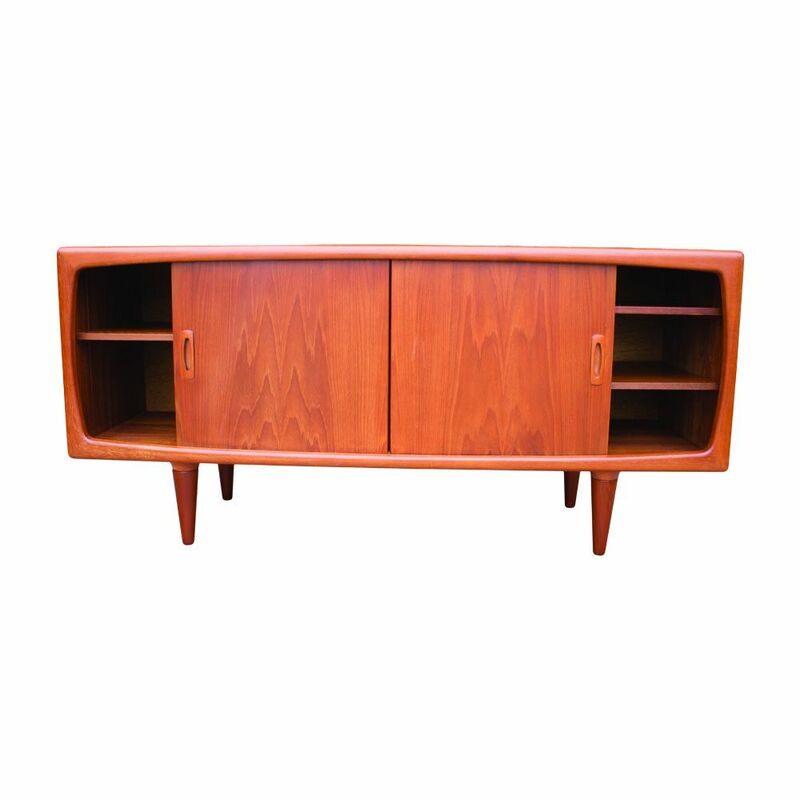 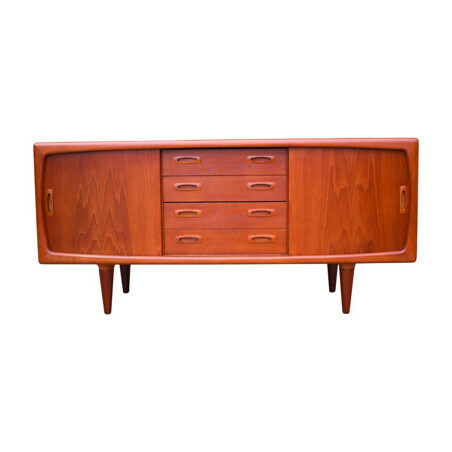 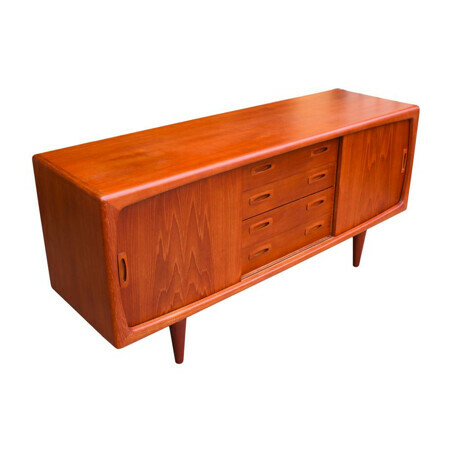 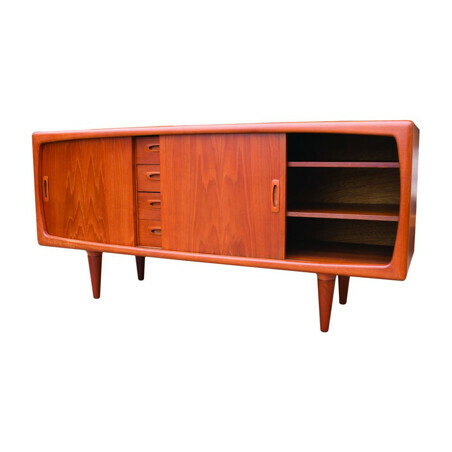 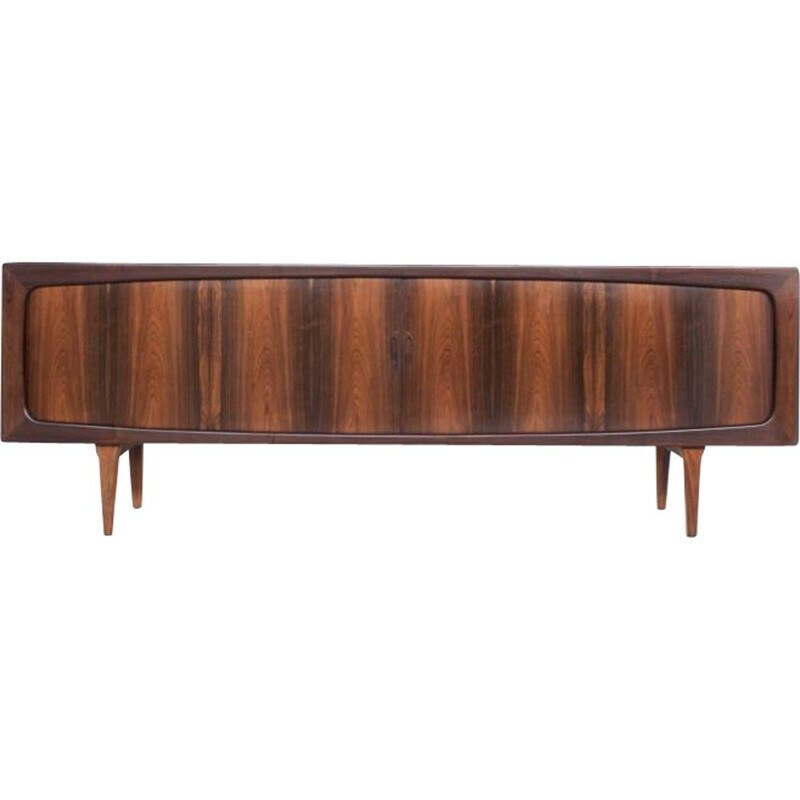 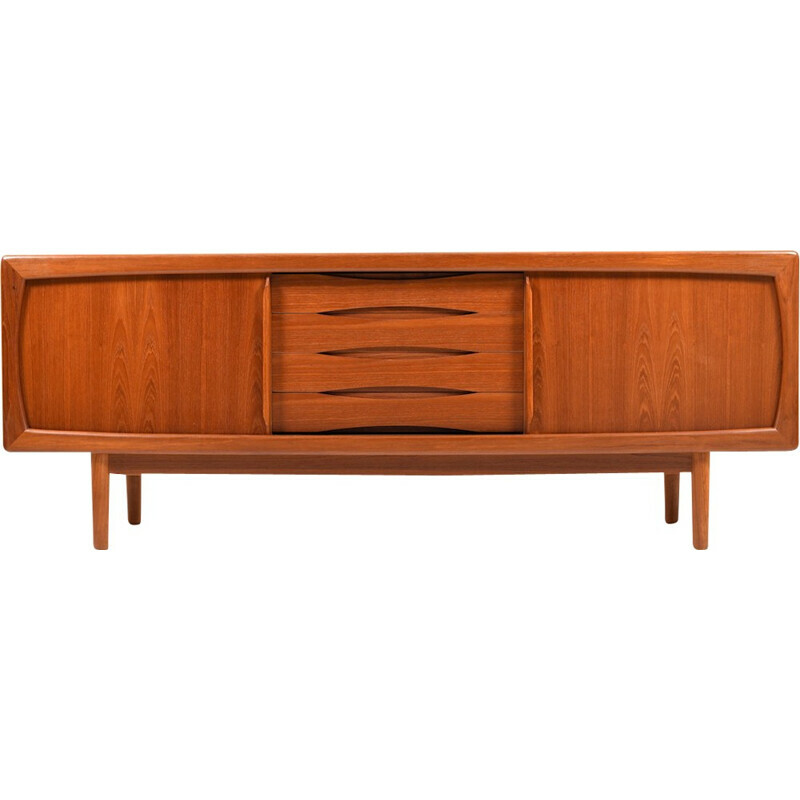 Danish design sideboard (credenza) designed and produced by H.P. 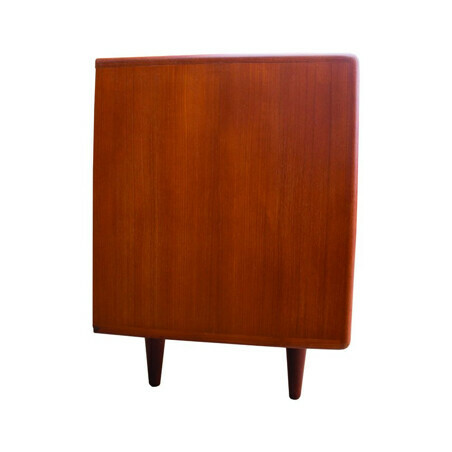 Hansen in the 1950s. 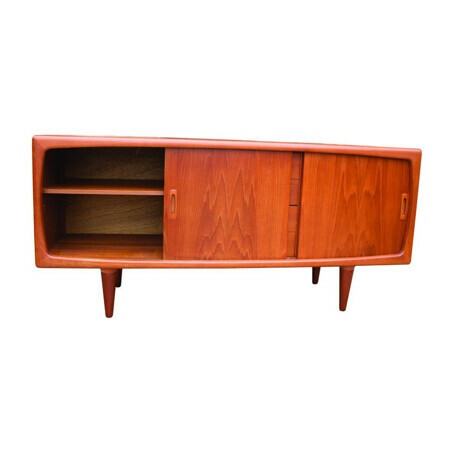 The sideboards organic shape and teak wood grain. 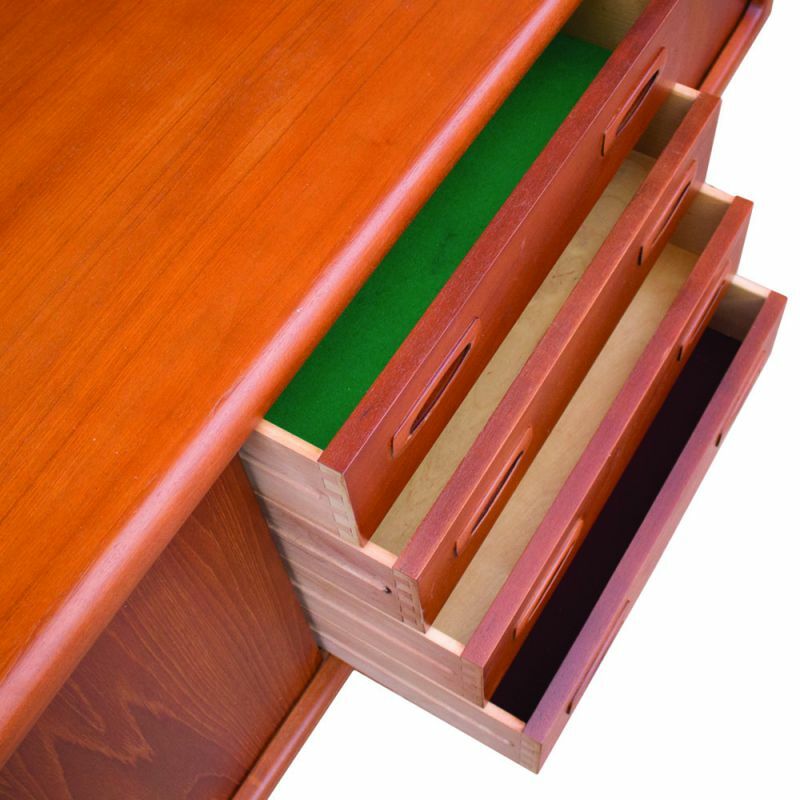 The sideboard has 4 drawers and multiple adjustable shelves behind the 2 sliding doors offering plenty of storage space and options. 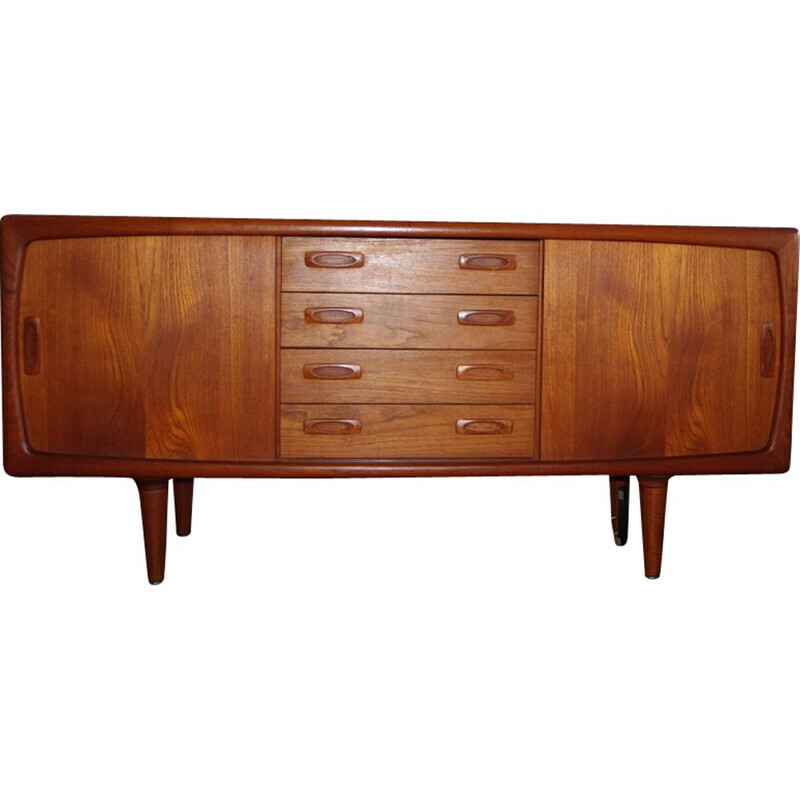 This piece is in very good vintage condition.